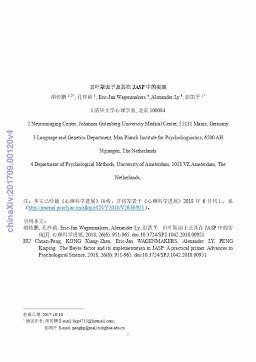 Hu, C.-P, Kong, X.-Z, Wagenmakers, E.-J, Ly, A, & Peng, K. (2018). The Bayes factor and its implementation in JASP: A practical primer. Advances in Psychological Science, 26(6), 951–965.